Denton and Reddish MP, Andrew Gwynne, has reacted with fury as figures revealed big rises in overcrowding levels on train services across England and Wales with the shocking new figures revealing that the two most overcrowded trains in England and Wales were services in and out of Manchester. The TransPennine Express train arriving into Manchester Oxford Road from Glasgow Central was the singular most crowded train service according to data from the Department for Transport (DfT), with more than twice as many passengers as seats. Sadly, the second busiest route was the train leaving Manchester Oxford at for Edinburgh with 387 commuters, with space for only 191, according to the survey of services last autumn. More broadly, more than 5,000 passengers a day were forced to stand on peak morning rail services into Manchester, with train overcrowding in the region at its highest overall level for three years. Throughout 2017, one in five passengers had to stand on their morning commute between 8am and 9am. Three main train lines appear to be the worst culprits with Southern, Thameslink and Great Northern services, making up half of the government’s list of the most crowded peak services in England and Wales from spring and autumn 2017. As the figures were released Labour warned that if such trends continued then the top 10 most crowded peak train routes would be more than 225% over capacity within the next five years. Labour has promised to transform UK railways and creating a new body to have oversight of the whole system. 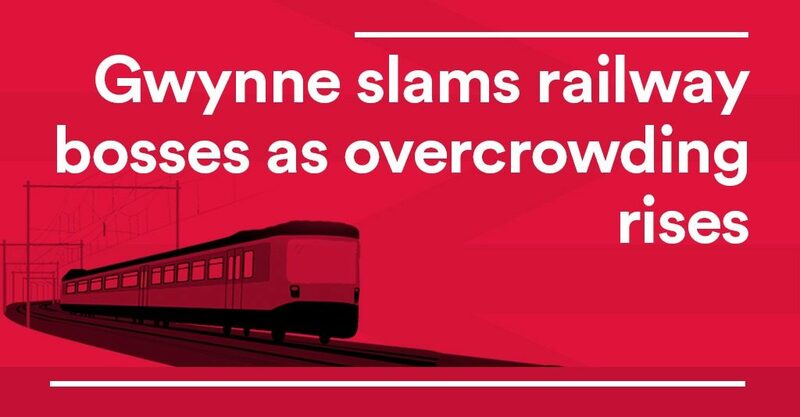 “It will come as little surprise to train commuters to hear that overcrowding on trains has reached record levels, but the bad news is that it’s set to get even worse.